Total Vacancies: Tentatively 08 in total. Mode of Applying: Offline mode. Candidates who want to apply for Hindustan Aeronautics Limited Recruitment 2019 for the posts of HAL operator Recruitment 2019 and HAL trained graduate teacher Recruitment 2019 should possess an SSLC/SSC, Diploma or a graduation degree in B.Ed from a recognized institution or organization. Operator The candidate should not be more than 55 years. Teacher The candidate should not be more than 45 years. Online Mode- By speed post, registered post, ordinary post, demand draft. Step-3: A new page will open here; The candidate has to click on the required advertisement No. 2. Applications received incomplete or not in the prescribed format, shall not be accepted, but rejected. It is advised that the candidates who are interested in applying read all the guidelines properly and fill it in the correct format. It may be noted that any default or clarification at a later date will not be entertained and will result in rejection. 4. 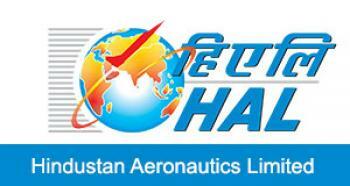 If Hindustan Aeronautics LimitedRecruitment Recruitment 2019 receives a large pool of applications, then only those candidates who have been shortlisted on the basis of qualification, experience in the relevant fields shall be considered for the post. 5. The post is for Naval Aircraft Yard (NAY) Goa and Karnataka. Hence, only those candidates shall apply who are flexible in serving in Goa and Karnataka.